The terms Shiite and Sunni are heard often in news stories from the Middle East, but few people in the West really know what they mean. Religion permeates every aspect of life in the Muslim world and understanding the differences between Shiites and Sunnis is important in understanding the complex geopolitics of the Middle East. The division between Shiites (or Shia, there are a number of variations on the spelling) and Sunnis began in the years immediately following the death of the Prophet Muhammad, the founder of the Islamic faith. When Muhammad died in 632 AD there was a disagreement over who should succeed him as the political and religious leader of the Muslim world. One group of Muslims elected Abu Bakr, a close companion of Muhammad to be the caliph, or leader. However a smaller group believed that Muhammad's cousin and son-in-law, Ali ibn Abu Talib, was the rightful leader. The Muslims who believed that Abu Bakr should be Muhammad's successor have come to be known as Sunni. Whereas the Muslims who felt Ali should have been the successor are now known as Shiite. Abu Bakr ultimately became the first caliph, although Shiites considered him to be a usurper. He was succeeded by Umar ibn al-Khattab and Uthman ibn Affan, the second and third caliphs. In the year 656 AD, 24 years after the death of Muhammad, Uthman was murdered. After Uthman's death, Ali (whom Shiites had always considered the rightful leader) was finally elected to rule. Ali was opposed by Muhammad's wife Aisha, the daughter of Abu Bakr. Aisha challenged his authority and criticized Ali for his lack of interest in bringing Uthman's killers to justice. Aisha raised an army against Ali, which lead to the first Fitna, or Islamic civil war. Ali defeated Aisha at the Battle of Bassorah, also known as the Battle of the Camel. Ali's reign was turbulent and he was assassinated in 661 AD. Under the leadership of the first four caliphs (Abu Bakr, Umar, Uthman, and Ali), the political, social, and religious institutions of Islam were solidified. Islam spread far beyond the borders of the Arabian peninsula, east into the Persian empire, north into Byzantine territory, and west across northern Africa. After Ali's death, however, Islamic unity splintered. Sunni Islam continued through the Umayyads and other dynasties that led to the powerful Ottoman and Mughal empires of the 15th to 20th Centuries. For Shiites, leadership was passed down through the Imams, who were believed to be divinely appointed from Muhammad's family. The 12th and final Shiite Imam died in the late 9th Century. After several centuries a council was appointed to elect an Ayatollah, the supreme Shiite spiritual leader. The divide between Shiite and Sunni Muslims began as a political one, but this ultimately led to some religious and theological differences. The divide between the two sects has grown over time. Shiites and Sunnis disagree on the identity of the Mahdi, the coming Islamic messiah. They also disagree on the interpretation of various key passages of the Quran and the hadith. The Quran (or Koran) is the Islamic holy scriptures - the word of Allah. While the hadith are teachings and traditions passed down from Muhammad - not considered divinely inspired nevertheless very significant. Yet while there are differences in beliefs, both Shiites and Sunnis share the main articles of faith - the five pillars of Islam - which are the testimony of faith, prayer, giving to charity, fasting, and the pilgrimage to Mecca. Shiites and Sunnis are the two largest Islamic sub-groups. However there are other sects, as well as divisions within the two groups. Sunni Muslims make up the majority, approximately eighty-five percent, of Muslims all over the world. They are spread from North Africa to Asia. While the largest populations of Shiite Muslims can be found in Iran, Iraq, Saudi Arabia, Pakistan, Afghanistan and India. 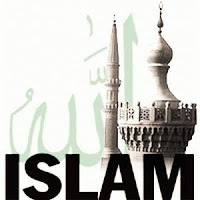 Islam is the world's fastest growing religion (depending on how you measure it), and is second in size only to Christianity, but the god of Islam and the God of the Bible are not one and the same. Allah is presented as unknowable and capricious, and is derived from the ancient pagan moon god. The God of Abraham, Isaac, and Jacob delights in making and keeping His promises. Jesus summarized the entire Law of Moses in two commandments: Love God with all your heart, soul, strength, and mind; and love your neighbor as yourself. Nowhere does the Koran make such a commandment. Although there are many peace-loving Muslims, study of the Islamic religion will reveal that true Islam is anything but a peaceful religion. Islam demands the utter destruction of all Jews, Christians, and anyone who refuses to convert to the Islamic faith. It is a warrior code that demands Muslims live and die by the sword.